…but I wish Tom Bombadil had gotten a cameo at least. Check out John Green’s AMA on reddit, where he talks about everything from his new book to reddit gold. Can you name all of these adaptations? Hedwig’s Theme from the Harry Potter films, written by John Williams! Are you excited for the new Star Wars trailer? The original films inspired an entire subculture of Star Wars novels, graphic novels, and novelettes! What do you think would be the worst book to film adaptation? You can tweet it to us @hardcoverradio! Talking Books showed up in the 1920s and have been around ever since. This week we’ll be talking about the listening/ reading experience we now know as audiobooking! You can volunteer with Librivox and add to the 6000 + books they’ve recorded so far! What do you think of Fredrick Davidson reading War and Peace? A Librivox recording of The Phantom of the Opera, some of which is read by Kristen Hughes. You can check out Audible’s best seller list, including Gone Girl and The Game of Thrones series, and discover new books! Your harmonica challenge this week is to find an audiobook version of your favourite book and tweet us about your experience @hardcoverradio. Today we’re talking Shakespeare with Janine Marley, M.A.! Janine owes a great debt of gratitude to her Shakespeare professor, Dr. Mark Johnston, for filling her head with wonderful facts about the Bard. So much so, actually, that she’s never 100% sure if what she’s saying is straight from lecture or her own thoughts or a hybrid of the two. The Stratford Festival is world-renowned for its quality Shakespearean productions (they also put on musicals and more contemporary shows)! This season features Hamlet, The Adventures of Pericles, Love’s Labour Lost, and many more! If you’d like to hear more of Janine’s theatre thoughts, you can read her blog, A View From the Box. Make sure to check out her review of Twelfth Night, put on by the UPlayers of the University of Windsor this past March! The song at the end of the episode, “Hamlet,” is by Paisley Jura “Canada’s double bass toting indie darling.” You listen to more on her website! You can let us know what you think of the episode in the comments or @hardcoverradio. Thanks for listening! We attended a couple of readings this week and are bringing you the highlights! Laryssa Brooks, performing her unsettling prose. Jay Rankin, reading his Basho-inspired poetry. Amilcar Nogueira, sharing some delightful wordplay. Also featured at the reading was the university’s Writer-in-Residence, Madeline Sonik, and our very own Brittni Carey. April 1st, the undergraduate were featured at the annual Creative Writing Gala, also held at the Green Bean Cafe (if you haven’t been, it’s quite wonderful!). Hardcover co-hosted the event with Dr. Susan Holbrook, Dr. Nicole Markotic, Dr. Louis Cabri, and Dr. Suzanne Matheson. The cafe was absolutely packed full of people listening to almost 50 students speak their prose and poetry; each reader had only two minutes to read, so it went quickly! Students also sold chapbooks of their amazing work. It was wonderful to be a part of this event! The song featured at the end of this episode is by the super talented and super fun Richard Garvey. You can view his CBC page, or his Facebook page to hear more! WARNING: This episode contains dystopian and post-apocalyptic spoilers. Nothing too earth- shattering, though, we promise. Post-Apocalyptic: after a cataclysmic event. Have you seen this poster around Windsor? Literature influencing the way we interpret the world. Nice. Fahrenheit 451 banned in the States: IRONY! This episode we’re looking at lyrics! Our title is inspired by Led Zeppelin’s album Coda. Iron Maiden, one of the most literary band out there: from The Rime of Ancient Mariner to Lord of the Flies, their lyrics explore the ethical and cultural resonances of these texts. Got a new place and how it’s so much better. I turn it off and smile. Oh, Jennifer, you know I always tried. Before you say goodbyeLeave the bourbon on the shelf. And I’ll drink it by myself. Until I hold you tight. And I swear I’ll make it right. And who’s that other boy holdin’ your hand? Oh, Jennifer, you know I’ve always tried. Until I hold you tight.Leave the bourbon on the shelf. Margaret Atwood incorporated printed lyrics for hymns in Year of the Flood. The first book in her post-apocalyptic trilogy, Oryx and Crake, features these delightfully green glow in the dark rabbits. Can you picture my prophecy? Without feelin, but will they last or be blasted? When I gets to pervin, so what? “Heroin” by The Velvet Underground is another example of spoken lyrics accompanied by music. what would I liked to have been? Diamond Dogs features tracks Bowie originally wrote for a 1984-based musical. Big Brother is watching you. A few days late, but here’s our Women’s Day episode, featuring interviews of mystery writer Jayne Self and poet-professor Dr. Susan Holbrook! Our episode title, “Time Worn Wings”, is an anagram of “Womens Writing”. In poetry, there’s room for ambiguity, indeterminacy, and raw expression! Some of the greats: Jane Austen, Emily Dickinson, Virginia Woolf, Harper Lee, Maya Angelou, and Sylvia Plath. “Adventure Time” characters in both of their manifestations: Fionna and Cake, and Finn and Jake! J.K. Rowling and Suzanne Collins have done really well in their respective genres: young adult, fantasy, and dystopian fiction. Harry Potter and The Hunger Games series have both been adapted into film, and continue to enchant and engage readers of all ages. The HMS Malignant inspired Jayne’s award winning novel, Murder in Hum Harbour, as well as the name for Malignant Cove! You can find Jayne’s books through Harbor Light, Amazon, Pelican Book Group. or at her website, www.jayneself.com. Thanks, Jayne! Speaking of murder mysteries…Agatha Christie is the master of the whodunnit! You can find her books through her publisher or at Biblioasis. Look out for her new book, to be released in 2016. Thanks for being a part of the show, Susan! Don’t forget to share your anagram with us on Twitter @hardcoverradio! Thanks for listening! Can you imagine having to type up a 20-page paper and, in order to rearrange sections of text, having to actually take a pair of scissors and a bottle of glue and manually cut and paste your document together? Before personal computers, typewriters were used to type up letters, finish last-minute assignments, and put together the great novels of the 20th century. So, in honor of all those students and profs, writers and editors, who spent long hours re-working their writings, we’ve titled this typewriter-centric episode Cut & Paste. Welcome to Hardcover! This episode, we’re discussing poetry and interviewing local poet, Benny Alexander. As an example, here’s a breakdown of “Everything Is Free” by George Elliott Clarke. *Lines ending with the same rhyme are labelled with the same letter. For example, “free” and “money” are both marked as (b). Here’s some people and websites we talk about in the episode! Jazz poet, novelist, playwright, critic, essayist. A prominent figure of the Harlem Renaissance. Leonard Cohen is one of the Canadian greats. Famous for his troubling of the sacred and the profane through sexual and religious imagery, Cohen’s lyrics are celebrated in tandem with his gravelly and raw musical accompaniment. A Windsor radio program hosted by Peter Brinn and Brittni Carey. You can catch us Mondays at 4:30pm on CJAM 99.1 FM in Windsor-Detroit. Our podcast is also available on our website, along with blog posts on what we’re reading, local events, and literary musings. 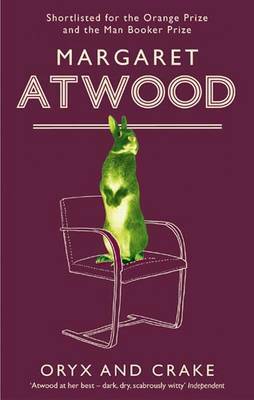 We love dystopian fiction, typewriters, and Margaret Atwood.